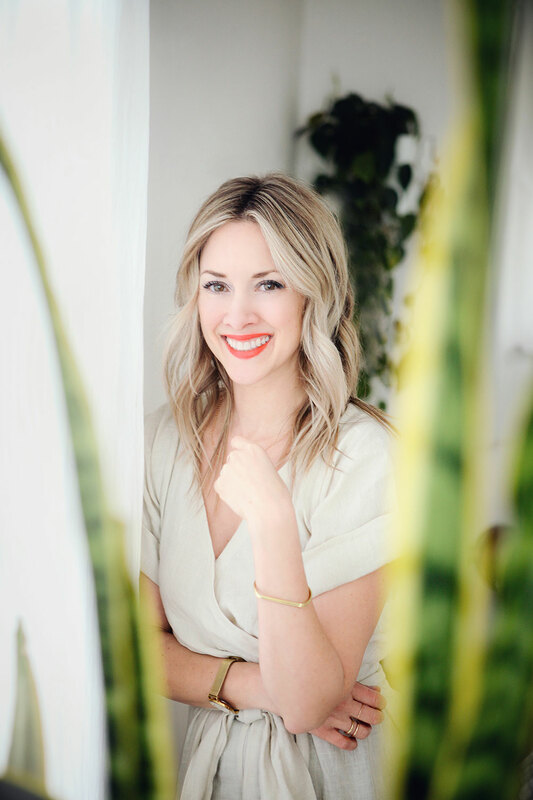 In my 35 years as an eater, I have found that moaning, eye rolls, sobbing, shivering, losing vision, hearing and balance are usually reserved for foods that contain a gloriously sinful amount of cheese, cream, and carbs. Or chocolate. Am I right? Are we on the same page here? I’m about to change that for you. Right here. Right now. PIMP YOUR BEST NEON SPANDEX. 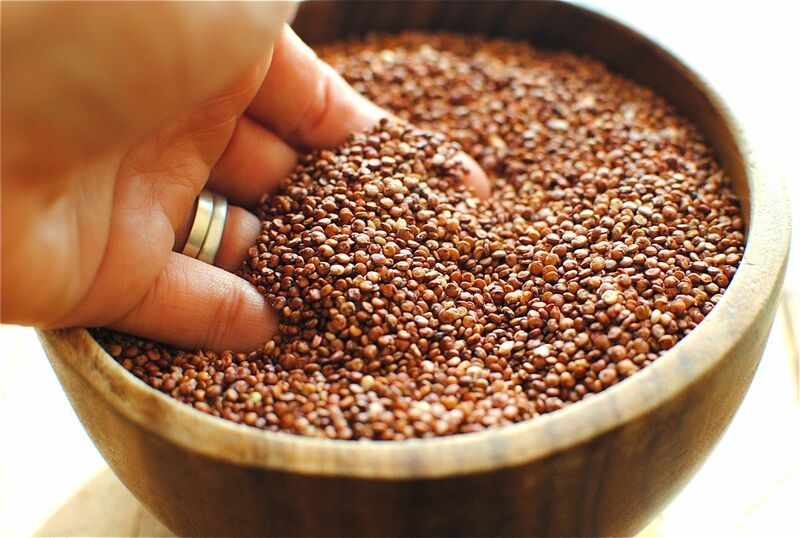 Red quinoa. Red quinoa with onions and butter. Red quinoa with onions, butter and cooked in a rich chicken stock. Red quinoa with onions, butter, cooked in a rich chicken stock along with sauteed silky mushrooms. Red quinoa with onions, butter, cooked in a rich chicken stock along with sauteed silky mushrooms and perfectly wilted kale. Suuuure I threw a little butter into this health trifecta. But this step simply ensures a skip in its step. A wink in its eye. A little shirt-off-the-shoulder bit, IF YOU WILL. When you make this, I ask that you wear waterproof mascara. And keep your phone on silent. You shan’t be interrupted. This is my Amelie -style shot. I actually do love to stick my hands in grains. OH YOU DO TOO. Heat 1 Tbs. butter in a medium saucepan. Add the onions and oregano; saute until onions soften, 5 minutes. Add the quinoa and toss to coat; toast 1 minute. Add the broth and simmer until quinoa has opened into little spirals, 15 to 20 minutes. The liquid should be mostly absorbed. Heat the remaining Tbs of butter and the oil in a medium skillet. Add the mushrooms and saute 5 minutes, until starting to brown. Add the kale, a pinch of salt and pepper, and saute 2 more minutes, until the kale is slightly wilted. 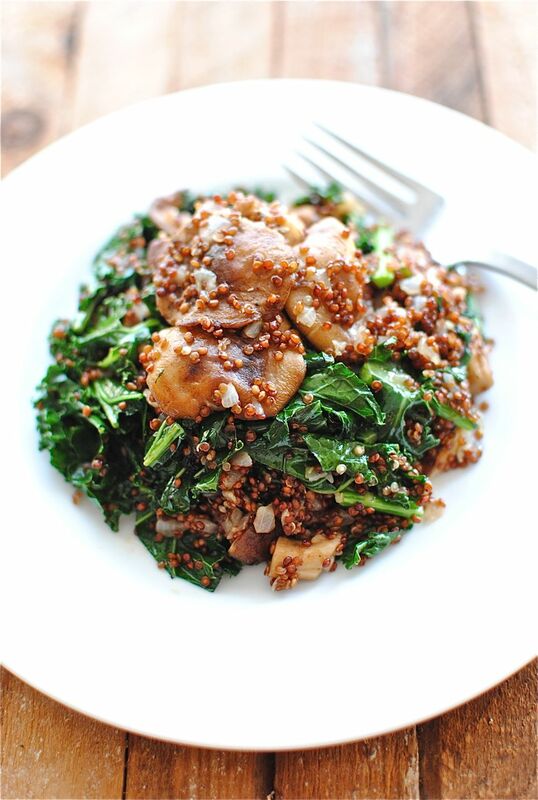 Toss the quinoa with the mushrooms and kale. Serve her up and inhale. Snesto Pesto. I MEAN PEEK. Sneak Peek. Hmmm. Absolutely gorgeous, Bev. I adore quinoa, and yes, I agree that too many people moan only for the sinfully sugary sweet foods and loads of butter and cream. I'm all for groaning over a bowl of this dish. So, what time is dinner? Beautiful photos, my dear! This looks divine. 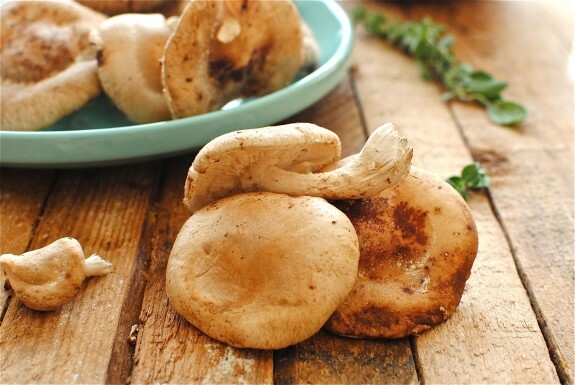 Mushrooms are one of my favorites! YUM! Oh yum. This looks fabulous---will you come make it for me? 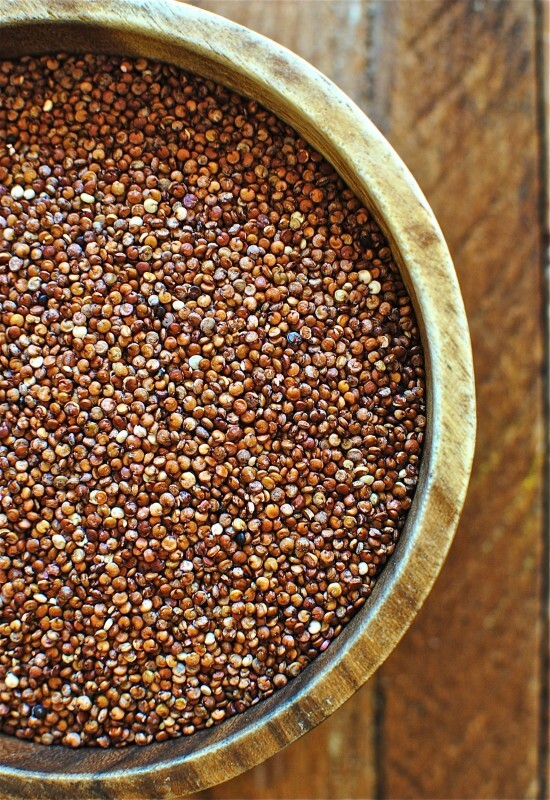 I've yet to try red quinoa, but this looks downright amazing. believe it or not... i have NEVER tried Quinoa... but i'm totally intrigued - is it similar in taste to anything?? It's kind of hard to describe! Slightly nutty, grainy...it's REALLY good. And is so healthy for you you're liable to grow wings. Try it! Bev, thank you for sharing the Quinoa Salad Recipe - I like cooking with quinoa, but haven't made it with mushrooms and kale before. I feel like I say this every single time I read your recipes...but I'm bookmarking this. It is a big pile of my favorite foods. My only question, where is that chocolate you teased me with?? All of my favorite things. 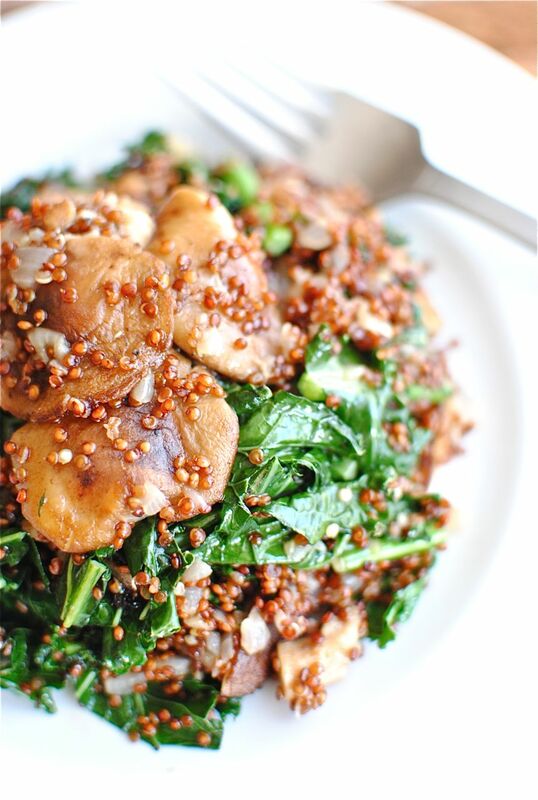 I heart quinoa, mushrooms, AND kale. A trifecta!! Butter in quinoa! Why didn't I think of that!? This looks awesome. I'm definitely adding butter to my next quinoa venture...thanks for the inspiration! Yes, please. Beautiful colors. I'm on such a quinoa kick! OK - This recipe was on my mind all afternoon so I rushed to my local store. They only had white quinoa (first time user) but I thought, what the heck. Just got done whipping this up. I am eating it straight out the pan - It is sooooo good. Thanks Bev! BTW - Is there a flavor difference between red and white quinoa? I'm so glad you like it! I ate my leftovers today and my eyes were stuck in the back of my head. Ya know, I think if we were to test them side by side, we might tell a difference. But, I can't really describe any difference off the top of my head. I just love the nutty, grain-ish flavor. And the butter. Good heavens, the butter. Oh man, that looks too good to be true! And that's saying a LOT for a recipe sans chocolate! Hey, I think I recognize that bowl. Could it have been a prop in some photograph workshop??? This is delicious! I've never used red quinoa. Does it taste the same as the regular kind, the yellow one? 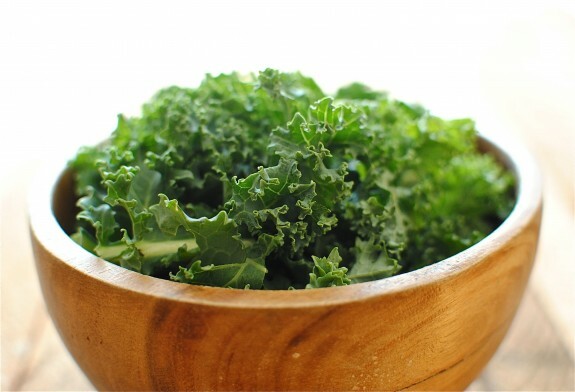 AND I love KALE! So nice to see a great, nutritious recipe that doesn't include sugar...YUM! I will totally be making this! You've convinced me!! Now I just need to find some red quinoa! It IS DELICIOUS! Just made it with slight variations - had to use up all of the kale and lots more shiitake mushrooms, and mixed red and white quinoa, still fab! Thank you Bev! I had mushrooms, had kale and had red quinoa, so google gave me this recipe. beyond delicious. I keep kosher, so I substuted sunflower oil for the butter. Maybe with the butter, its even more amazing, but I did not feel that it lacked anything. Next time, I will try veggie stock and butter.